You&apos;ll love this charming 2-story home with gated entry, situated on 10 +/- acres in the city of Jacksonville. 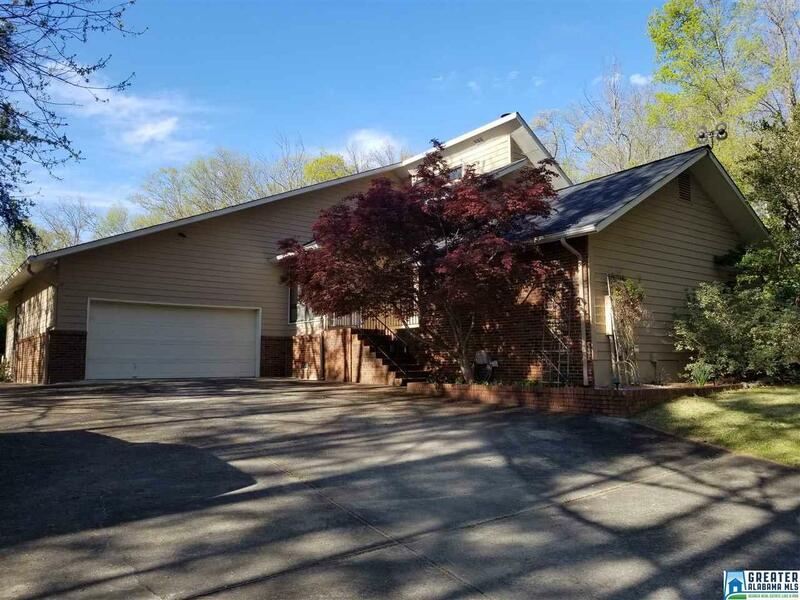 Three Bedroom, two full baths, great room with wood burning fireplace, dining area with walk out deck and kitchen that comes with stainless appliances... master suite is on the main level with trey ceiling, private bath, walk-in closet and patio doors. Upstairs features two more bedrooms, a full bath and a study area. Gutter guards installed... Attached to the home is an in-law suite with den, kitchen area and bathroom... downstairs (tile flooring), upstairs is a bedroom with storage and bamboo flooring. Additionally there is a detached 30x40 garage with bathroom, shower and plenty of shelving with pegboard walls. Also a 20x40 salt pool with liner less than a year old, and a playhouse/treehouse. Lots of privacy. Convenient to JSU campus.